Altaif Hassan, a senior at the college, and freshman Giovanna Roberson were pulled over by police on Monday afternoon in the parking lot of the school's Mimosa Hall. 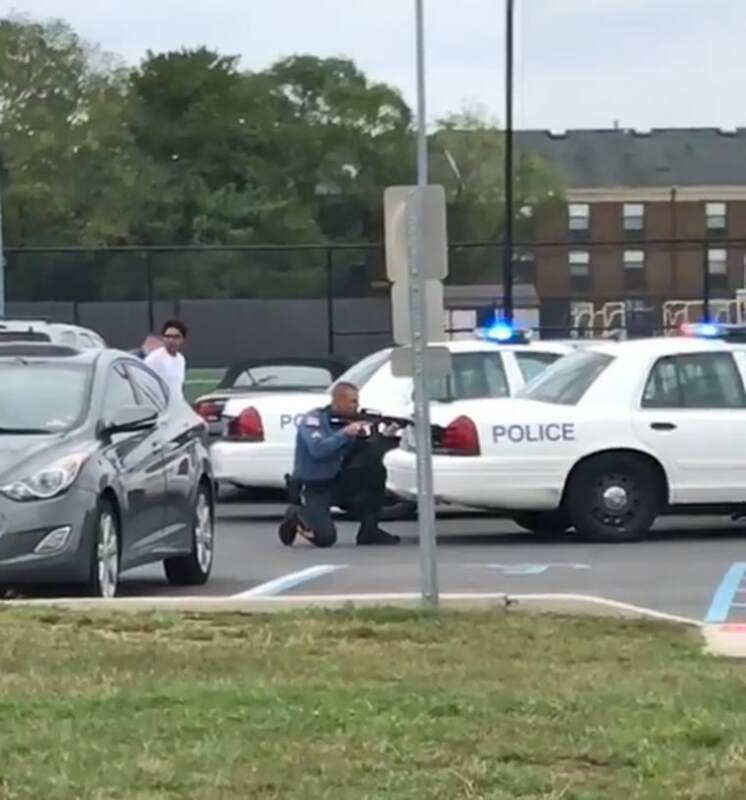 Two Rowan University students had firearms pointed at them by police after reports of a gunman on the school's campus in Glassboro, New Jersey — and the entire encounter was caught on a video that has now gone viral. Altaif Hassan, a senior at the college, and freshman Giovanna Roberson were pulled over by police on Monday afternoon in the parking lot of the school's Mimosa Hall, according to NBC Philadelphia. Glassboro Police Department received a call about an armed robbery near the campus on Monday and a witness description of the suspect's car was similar to the car Hassan and Roberson were driving, according to Vice President of University Relations Joe Cardona. Because police believed there was a handgun in the vehicle Hassan and Roberson were in, the officers trained their weapons at them and ordered the students to get out of the car. In video captured of the moment — which has been viewed more than 210,000 times on Facebook — Hassan can be seen with his hands up and walking backward, cooperating with one officer's commands while another officer points a rifle in his direction and a third points a handgun. Both students were handcuffed before police searched the car and determined the students were not in possession of a weapon. They were then released, according to NBC Philadelphia. "Am I not suppose [sic] to feel safe on my campus? There's students all around and guns are being pointed at a car in the middle of the crowd!" Hassan wrote on Facebook. Cardona said the officers acted accordingly but added that the school has offered the two students involved in the stop support and counseling. "Emotions are running high, and there are plans in the works to have an open forum on Friday," Cardona said. Hassan did not immediately respond to a request for comment made by NBC News. Glassboro Police Department declined to comment. NBC News was unable to immediately contact Roberson. In a statement from Rowan University's Student Government Association, which was retweeted by Rowan University's official Twitter account, the SGA said it had been in touch with Hassan and Roberson. "While we are still uncertain of all the relevant facts surrounding and leading up to the stop, we are in contact with the students involved as well as relevant university administrators," the statement said.